What is currently on our book shelves? 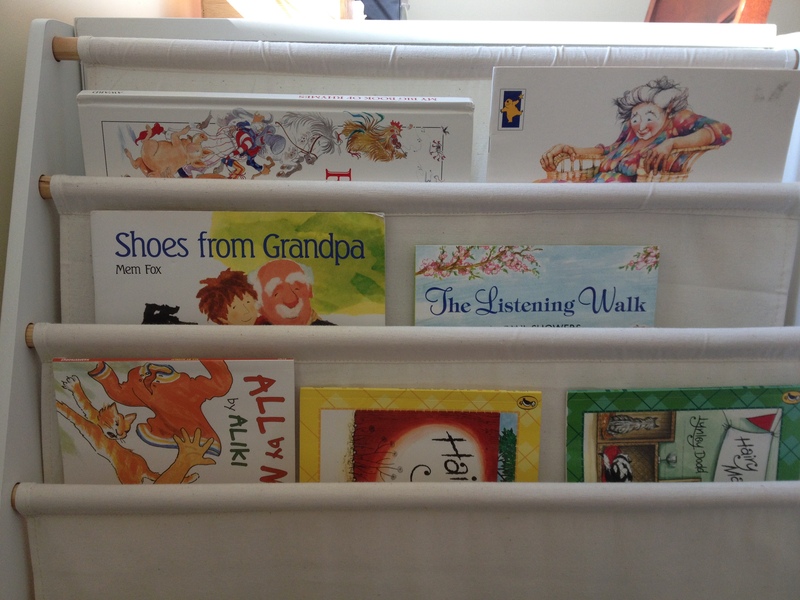 We have two 5-tiered book shelves set up around the house for my children to look at whenever they want and a special basket for night time books. All other books are stored away in a cupboard for rotation. This shelf is in my children’s playroom/study at the moment. This book shelf is set up in my 3.5 year olds room. All of these books were chosen by her and she rotates them when she feels like a change. We also have a basket for night time books. I put a few special ones in there and the rest my children choose. At the moment the Peter Rabbit book set which we were given as a present and The Curious George books as well as a nursery rhymes book are my 3.5 year old’s favourites to read at night. 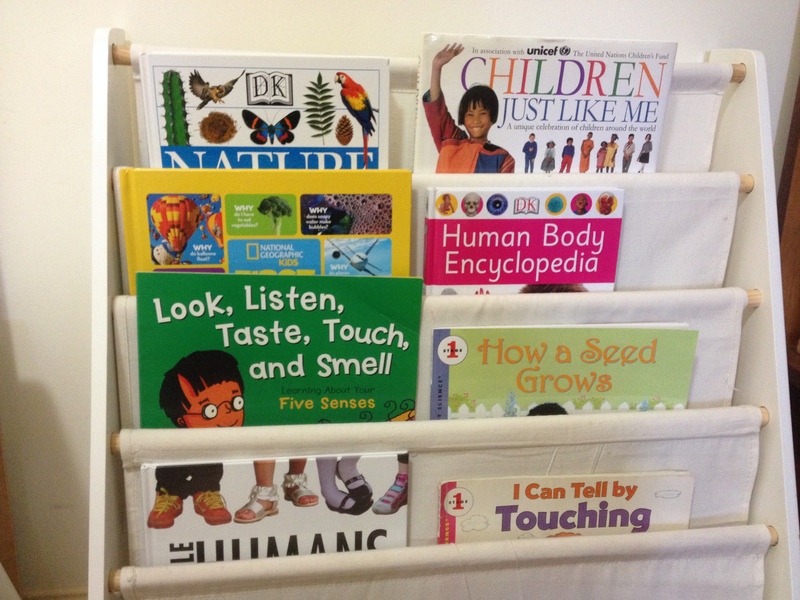 Not exactly Montessori books but I think that is okay. I love your selection. We have just received Children Just Like Me – it’s lovely. THank you. My 3 year old loves that book. She finds it so interesting and always has lots of questions.